I promised you a fun and practical tutorial, and I think this one checks off both of those boxes perfectly! In our new house, my studio is off to the left as soon as you walk in the front door. I would love to put in French doors so that I can close it off, but for now, I have to keep it neat and clean … at least while I’m not sewing or when we’re expecting company. Having a pretty cover for my machine helps a ton! 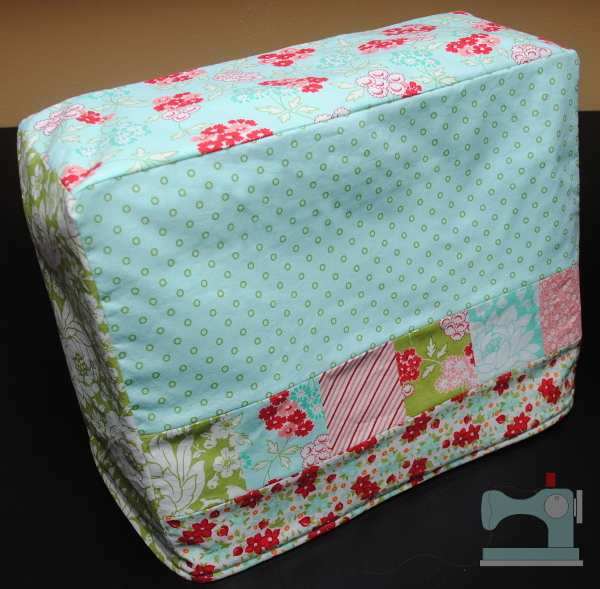 When I can squeeze in the time, I’m planning to make one for my serger, too. Of course, a machine cover also helps keep your machine clean and safe from little fingers and curious pet paws. I designed this one with some simple piecing so that you can show off a favorite fabric collection, and I made it with a reversible option, in case you can’t decide which fabric collection is your favorite! The free pattern doesn’t actually include a “pattern”. Instead, I’ve included detailed and illustrated instructions for how to measure your machine to get a custom fit. The fabric requirements will vary a bit according to the measurements of your machine, but my giant Kenmore used 8 fat quarters, 12 charm squares and 1 yard of Pellon 987F fusible fleece. I used different fabrics on every side of my cover. 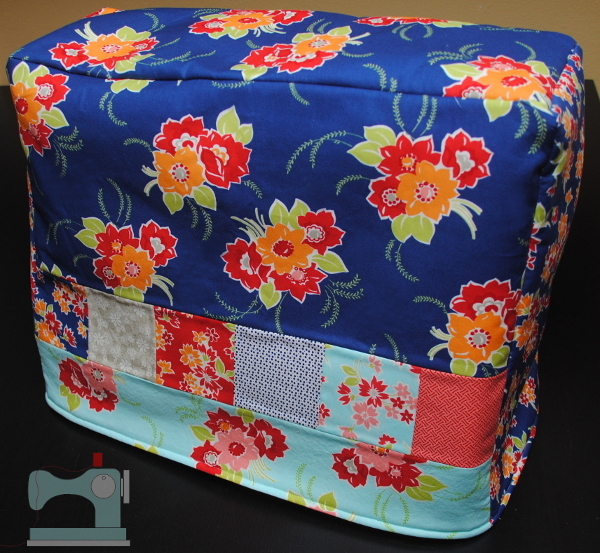 If you wanted to stick with one fabric plus the charm squares, 3/4 yard of two different fabrics would work. 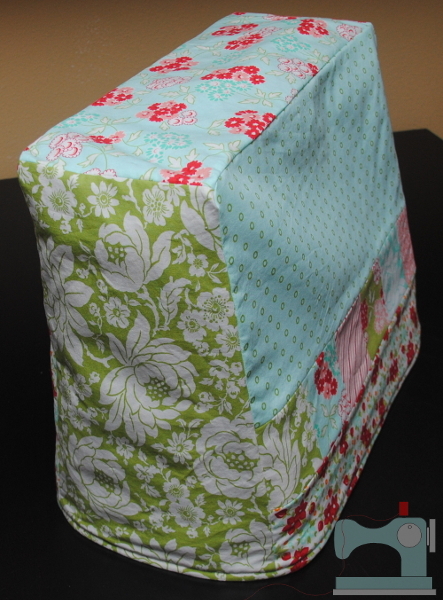 If you want to skip the reversible option, you can divide those fabric requirements in half. 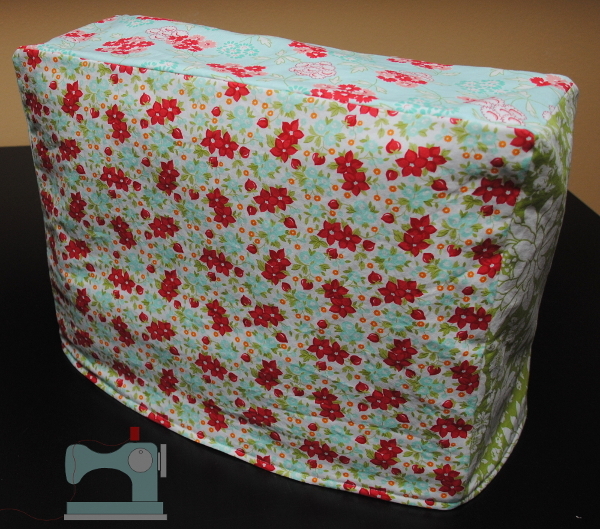 Ready to give your machine a pretty cover-up? 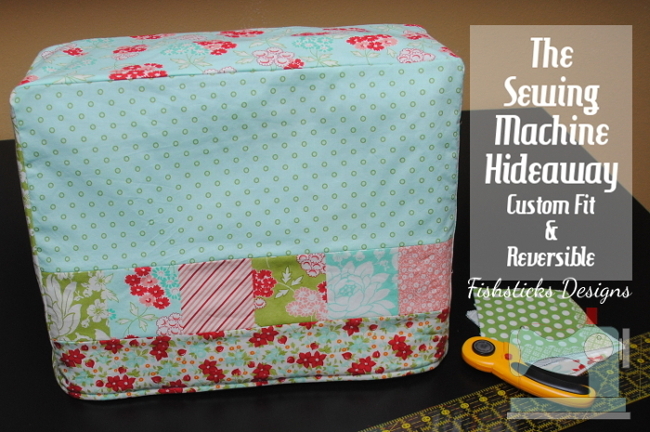 To download the pattern and start sewing, just click right here: The Sewing Machine Hideaway.